First James DeGale relinquished the EBU title to concentrate on defending the WBC Silver title as he according to the EBU rules couldn´t hold the two belts at the same time. Then the EBU Council looked into the matter and by large majority voted for a more liberal interpretation of the rules and DeGale was reinstated as EBU supermiddle champ. However, yesterday DeGale decided to stick to the WBC Silver title and leave the EBU crown vacant. 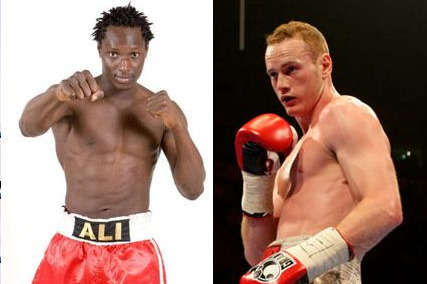 It will now be George Groves and Mouhamed Ali Ndiaye, already mandatory challenger, that fights for the EBU title with and the EBU have set January 4 at noon as deadline for purse bids.